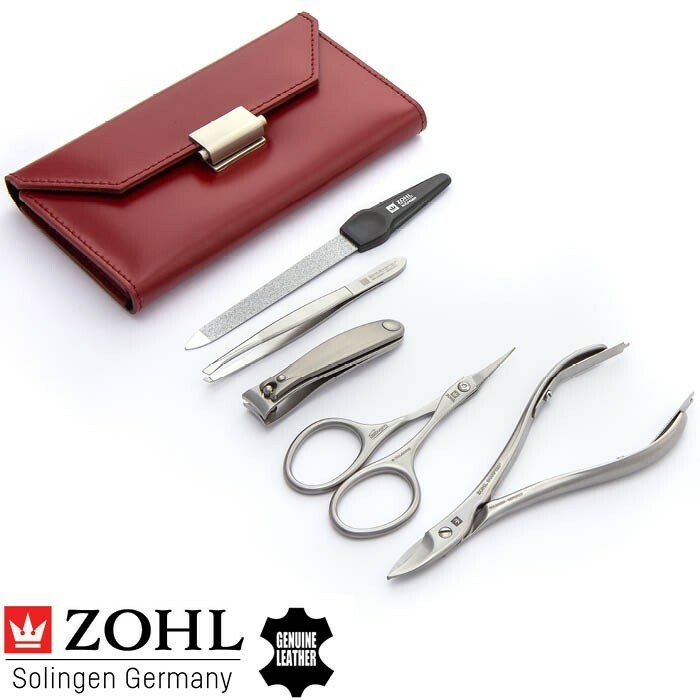 Rising popularity of bringing your own professional nail instruments to the salon makes the Solingen manicure set for women Grazia a perfect choice. 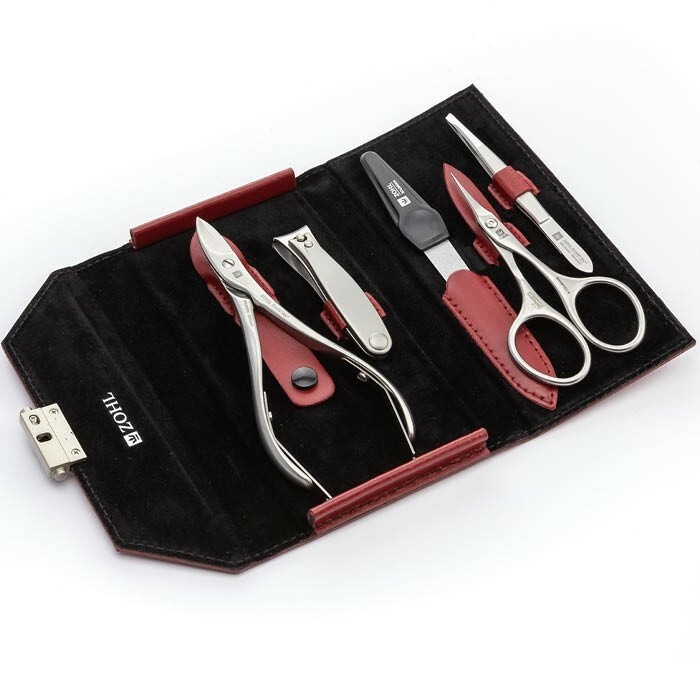 Hand crafted in Germany from surgical steel, it includes the highest quality manicure and pedicure tools that delight with perfectly sharpened blades and long lasting retention of the cutting edge. 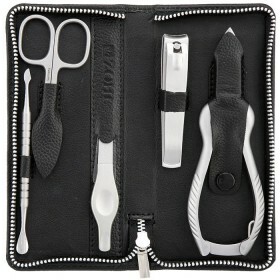 Ideal set to use on your fingernails and toenails, to ensure better hygiene and exclusive use. 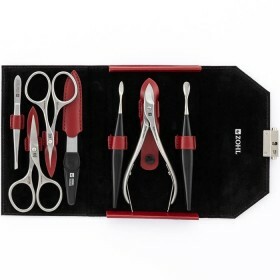 Or, add it to your home beauty kit to enjoy professional manicure without frequenting the salon. 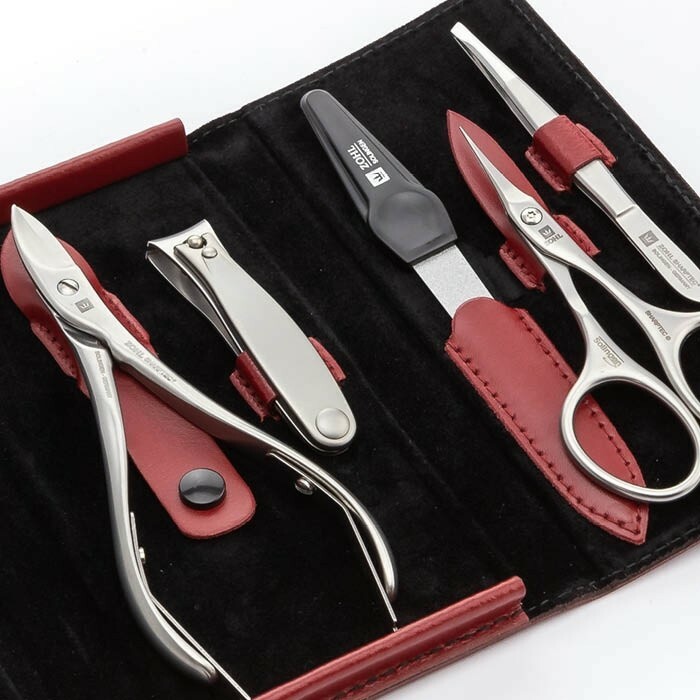 Either way, the Grazia is one of a kind luxury manicure set that will give enduring sharpness and make a perfect accessory for a woman's handbag or salon mani-pedi routine. 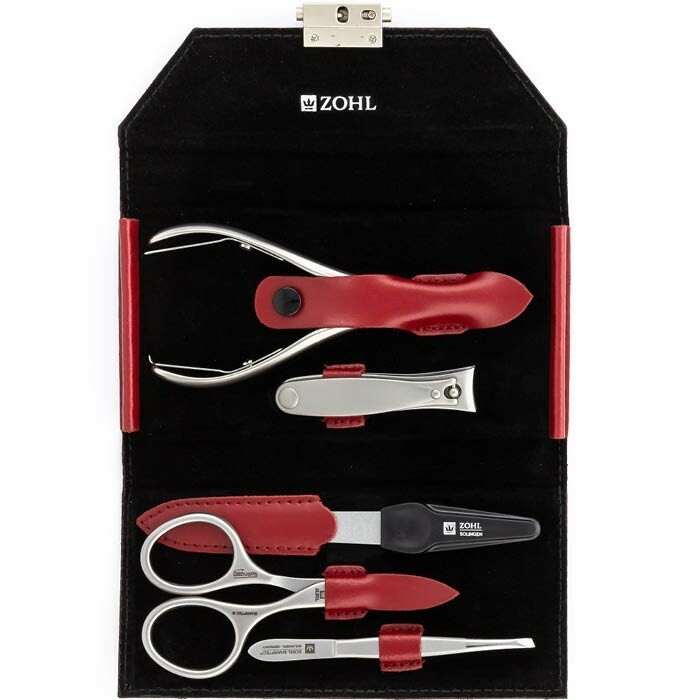 ZOHL collection of the best womens manicure set presents Grazia – the finest German made nail care kit for women who trust their nails to the best manicure and pedicure instruments. 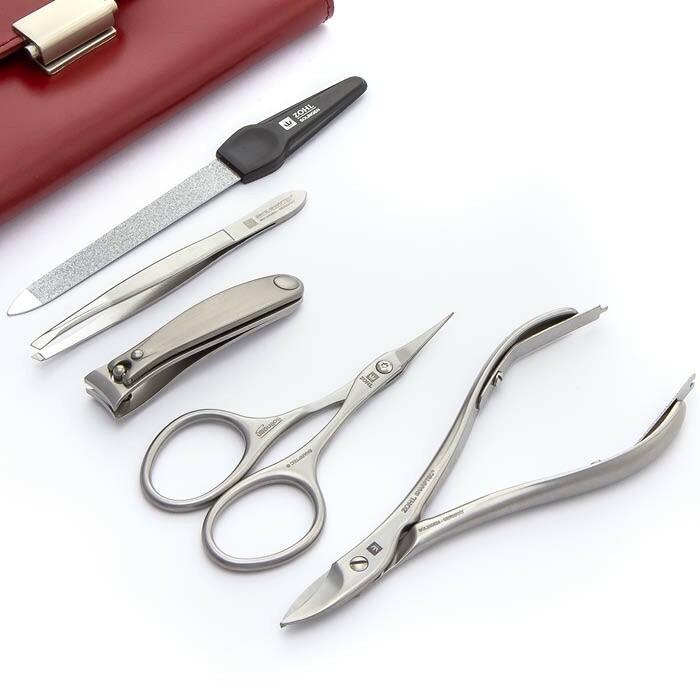 Professional Manicure Scissors with Extra Fine Blades (9 cm) with slightly curved blades, perfectly sharpened to follow the natural shape of your cuticles. 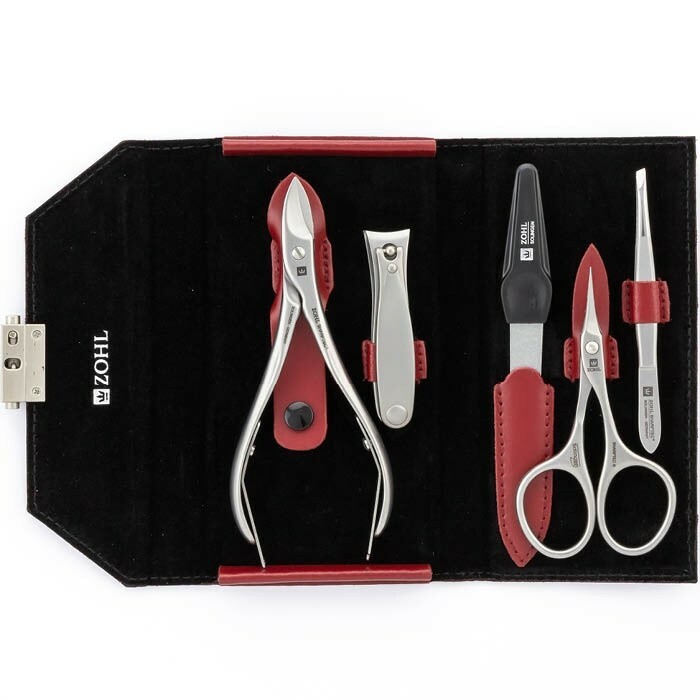 Due to very slim design, the scissors should only be used to trim the cuticles, and not nails, to ensure long lasting service. 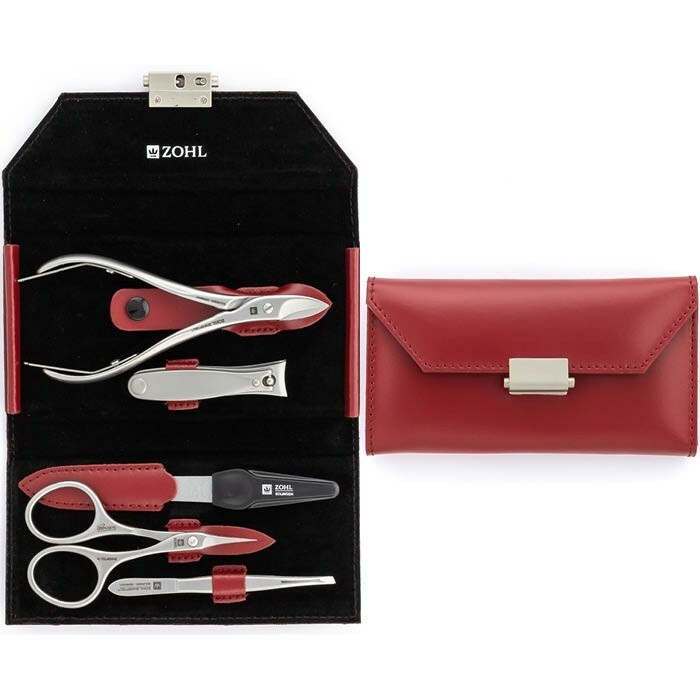 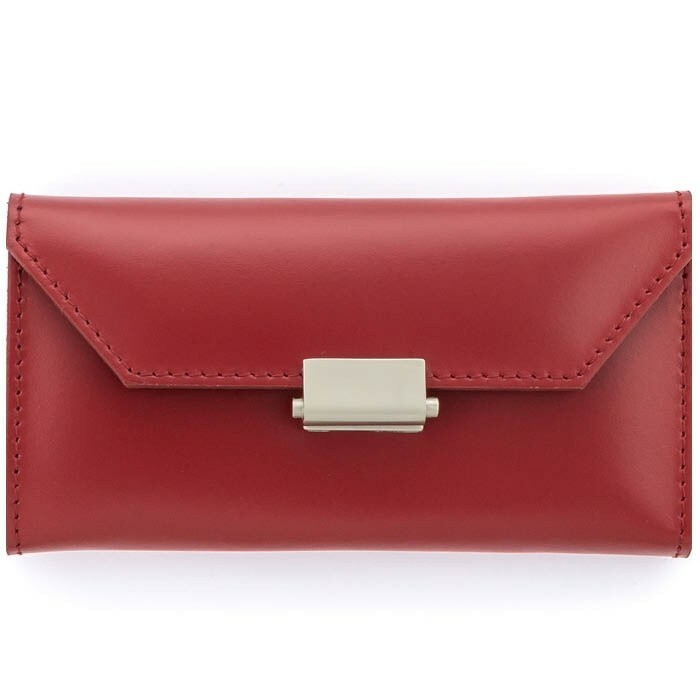 Beautiful presentation in the luxury red leather case makes Grazia the best manicure gift set for a woman who likes the best things in life, and does not settle for less when it comes to her well presented nails.